No-one is absolutely sure of the derivation of the name Rosedale, but the Viking origins point to Rossi, being a personal name, or the word for horse. The other possible root is the word “rhos”, meaning moor. No rose connections have ever been found! Rosedale has a history combining early Christian heritage, centuries of farming, and dramatic change. The discovery of unique high-grade magnetic iron ore in the 1850s turned this sleepy backwater into a powerhouse of Victorian industry. For 70 years the valley echoed to the sound of rumbling waggons, steam trains, and the noise, smoke and dust of mining activity. By the 1920s, the Great Depression and the lower cost of imported ore finished the mining in Rosedale. The miners and their families left, rows of miners’ cottages were abandoned. Gradually, peace and the forces of nature reclaimed the dale which is once again a place of outstanding beauty. Agriculture once more became the main industry and now tourism is very important in the local economy. Today, with the miners long gone, we can wander for miles around the dale in peace and quiet, awed by the extraordinary remains of giant stone calcining kilns used to purify iron ore before transportation for smelting, the routes of the railways and the sheer beauty of the valley itself. Over 70 years, the period of mining activity, the number of miners, often accompanied by wives and children, fluctuated depending on the amount of ironstone required. This again was dependent on the price of iron and the world trade in the commodity. A large number of papers and booklets have been published on the subject of the ironstone mines and the impressive railway branch line, which was built under often terrible conditions along the moorland ridge which encircles Rosedale and across the moor to the north, linking to the rail systems of the industrial North East. The pretty village of Rosedale Abbey was the site of a medieval priory, of which little now remains. 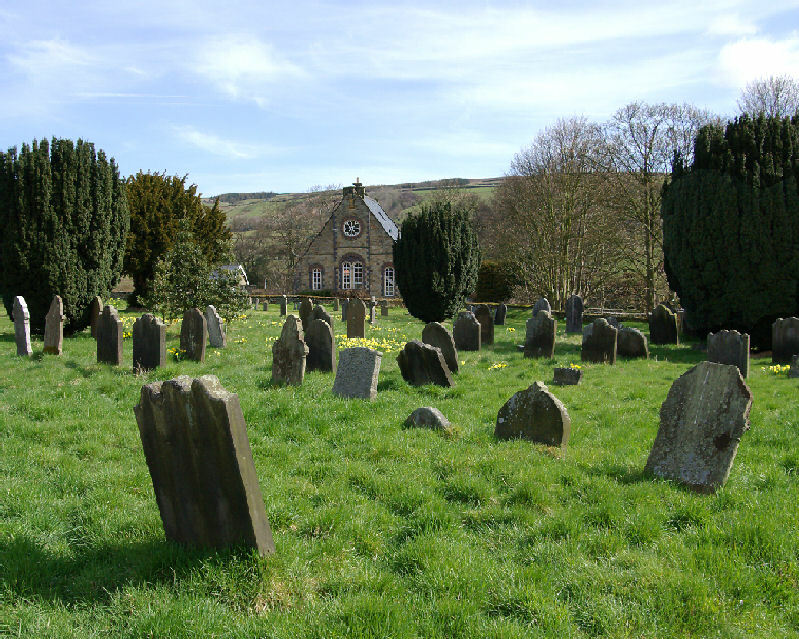 The 19th Century church was built over the original priory church and, together with its beautiful graveyard, is a reminder of both the religious and social history of Rosedale, with old dale’s names carved on headstones and war memorials. An internationally renowned glass studio located in the village today echoes the 16th Century Huguenot glassmakers who once sought refuge in Rosedale. This photograph has, for some time, thought possibly to be of the Wesson family, but after a visit by Paul Gray to a History Weekend Event, he thought he recognised the face of Sarah Jane Smith, an ancestor. After some research, he was able to confirm that this is indeed the family of Thomas and Sarah. We are very grateful to Paul for his valuable research. We hold a large and fascinating archive of photographs, maps, research material etc. relating to most aspects of the history of Rosedale. All information can be seen at our monthly meetings and special events – see News & Events section. We are always delighted to receive additional material, which is always gratefully acknowledged.